Social principles is a part of ISAIAH-MN. The Social Principals Ministry is an Avenue for the congregation, both corporately and as individual members to educate, advocate and act to bring the systems changes needed to bring racial, social and economic justice to our community, our state, and our country. 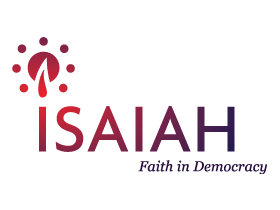 We do this through efforts within our congregation and across faith traditions through the six Social Principals and through our partnership with ISAIAH-MN.